The summer after your freshman year of college is full of excitement. You are reunited with old friends, with whom you get to share tales of your college adventures, reminisce about the ‘good old days’ of high school, and bond over your shared stories of embarrassment of getting lost while navigating campus. What you don’t always expect when coming home after this first-time adventure is the power struggle that can occur when living back with your parents. 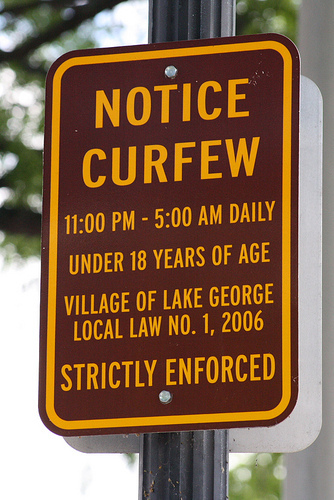 It’s understandable that as a college student you may expect more independence and altogether forget you ever had a curfew, but your parents certainly don’t. In college you are free to come and go as you please without someone waiting for your return every night, so coming home to an annoyed parent telling you that you’re 45 minutes past your curfew isn’t what you expect. It takes time to re-work the dynamics of living back at home. Parents need to understand that you aren’t in high school anymore and should be open to a discussion about how this adjustment will look. However, returning students also may need to make adjustments. Living under someone else’s roof means playing by their rules, and respecting the fact that parents may not be entirely comfortable with your new-found freedom. Making intentions clear and fully understanding each other’s concerns is important to navigating this tricky transition period.